If you’re not watching “Are You Tougher Than a Boy Scout” on Monday nights on National Geographic, you are missing out! This is a show well-worth letting my boys stay up late to watch each week. The whole family, my 4-year-old daughter included when it’s been recorded for earlier viewing, LOVES this show. The problem with most reality television is that that level of attention on real people changes them. Sure, everyone wants their 15 minutes of fame. But when performing on one season of a reality TV show gives a person celebrity status, they lose their grasp on reality and stop living a normal life. Instead, they live the celebrity life, which is as far from normal as it gets. But I’ve digressed. 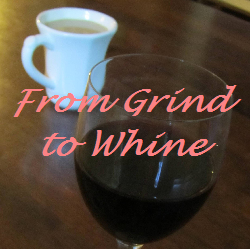 This reality show is still new enough, still real enough, to be enjoyable to watch. The team of Boy Scouts on this show are authentic and represent the strength, knowledge, experience, toughness, and humility that is the Boy Scouts of America. This show sheds light on what a fantastic organization the BSA is, and how scouting is still a valid, admirable activity for boys of all ages. As you’ll see from watching the show, the grown men who compete against the scouts struggle to keep up. Some of the competitors are former scouts themselves who want to see if they still have what it takes. Others think scouting is overrated and attempt to prove that they have all of the knowledge they need without being a scout themselves. The challenges are all taken from real achievements boys must complete on the road to earning their top rank, the Eagle Scout. As you watch, keep in mind that most boys earn their Eagle Scout by their 18th birthday. That level of dedication, planning and follow-through at such a young age is what earns Eagle Scouts such respect. The Boy Scouts of America is a service organization. They are not a club or a team, although the boys get all the benefits of both by belonging to the BSA. In my mind, too much emphasis is put on athletics and not enough is put on service for kids these days. By joining scouts, boys have to earn achievement markers for athletics and leadership. They are two important tenets of scouting. But helping others, doing their best, and serving their community are the bigger principals offered by scouting that is missing from many other kids’ activities. As a Cub Scout den leader for both of my sons, I am obviously a fan of scouting. I think the BSA has a lot to offer and am thrilled to see a show like this highlighting the abilities of accomplished scouts, who retain the scouting spirit of serving their community and helping others. 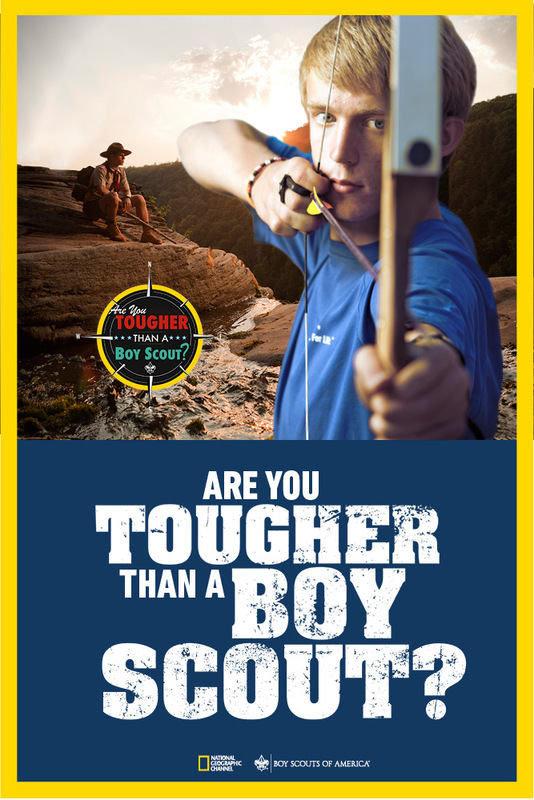 Whether you and your kids are personally involved in scouting, or you’re just looking for a fun new family-friendly show to watch together, check out National Geographic’s “Are You Tougher Than a Boy Scout” on Monday nights at 8pm.